The Diabetes Prevention Program (DPP) is part of the CDC’s National Diabetes Prevention Program. It helps people at risk learn how to make lifestyle changes and stick to them. As part of a small, supportive group, you’ll learn how to eat healthier, lose weight, and incorporate more physical activity into your life. A trained coach will guide the group in how to make better choices over the course of 16 one-hour weekly sessions. After that, you’ll meet monthly, for one full year of the program. It’s helpful, it’s enlightening and it works. The DPP reduces the risk of new cases of developing type 2 diabetes by 58%, and by 71% in people over the age of 60. Commit to 30 minutes daily of physical activity? Attend weekly meetings for 16 weeks? If you weren’t at least a “7” in at least 3 categories, consider if this is the right time for you to join DPP. Family history of diabetes as well as a history of gestational diabetes are also major risk factors. What to expect from the Diabetes Prevention Program. In a small group led by a trained lifestyle coach, you’ll learn about healthier eating habits, ways to be more physically active and other behavior changes over the course of 16 weekly one-hour sessions. The group will continue meeting monthly, completing a full year of the Diabetes Prevention Program. As a participant, you’ll be working towards losing 5%-7% of your starting body weight and being physically active for 150 minutes per week. What to expect from your coach. Your lifestyle coach will support you throughout the year-long program. You’ll have access to the coach during class as well as support outside of class through email, text messages, phone calls, or personal notes. Coaches are there to support you when you’re struggling, and further encourage you when you’re doing well. Your coach will stay engaged with you however works best for you. Based on research funded by the National Institutes of Health and the CDC, the Diabetes Prevention Program reduces the risk of new cases of developing type 2 diabetes by 58%, and by 71% in people over the age of 60. As a program participant, you’ll be working towards losing 5%-7% of your starting body weight and being physically active for 150 minutes per week. We promise to be with you every step of the way! Adapting your lifestyle to the program, not the other way around, so that results are permanent. A class setting where you can talk to the coach and learn from other participants is crucial to success. The DPP keeps you interested and engaged by bringing topics to life, and making them fun and interactive, while also educational. The program is challenging, but that’s why having a trained coach who has been in your shoes and participants who are walking the same path is so crucial to your success. The Diabetes Prevention Center funds the Diabetes Prevention Program through a mix of sponsorships, grants, employers, insurance reimbursement and self-pay. The Diabetes Prevention Program is a covered benefit for Medicare Part B and C beneficiaries. For Medicare to cover your cost there will be benchmarks for you to meet, including class attendance and weight loss. DPP will be a one time benefit, meaning Medicare will pay for participants to enroll one time only. Medicare requires that participants have lab results in the ranges below. The blood test must have been taken within the last year. Please bring a copy of lab results to your information session. The Diabetes Prevention Program is a covered benefit for Priority Health Commercial members who have a prediabetes blood test result in the range shown below, a history of gestational diabetes or are at high risk for diabetes as determined by risk test available here: risk test link. If you have blood test results, please bring proof to the first information session. The Diabetes Prevention Program will be a covered benefit for eligible Health Alliance Plan (HAP) Medicare Advantage and HAP Midwest Health Plan beneficiaries. For HAP to cover your cost there will be benchmarks for you to meet, including class attendance and weight loss. DPP will be a one time benefit, meaning HAP will pay for participants to enroll one time only. To be eligible, HAP participants must have lab results in the ranges below. The blood test must have been taken within the last year. Please bring a copy of lab results to your information session. 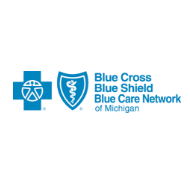 The Diabetes Prevention Program is covered for University of Michigan employees and dependents with Blue Care Network who have Hemoglobin A1C blood test results between 5.7%-6.4% taken within the last year. Please bring hemoglobin A1C results to the first information session. 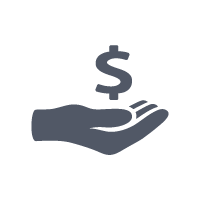 If you live in Ingham, Jackson, Kent, Livingston, Muskegon, or Washtenaw County the Diabetes Prevention Program may be covered by community grant funding. Attend an information session to learn more. 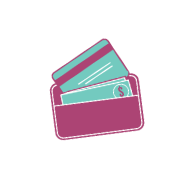 There are many payment options available including use of flexible spending accounts, payment plans and scholarships. Please attend an information session to learn more. If you don’t qualify right now for the Diabetes Prevention Program, or if you’re not quite ready for the year long program, please take a look at some of the no-cost programs offered by the Diabetes Prevention Center and the National Kidney Foundation of Michigan. PATH is designed to benefit adults with chronic or ongoing health conditions including arthritis, heart disease, diabetes, emphysema, asthma, bronchitis, and depression. It is a six-week workshop conducted in 2 1/2 hour sessions each week. Family members, friends, and caregivers are also encouraged to attend. Do you have diabetes, kidney disease, or chronic pain? There is a PATH program specifically for you. Enhance Fitness is a physical activity program for adults that is designed to improve functional fitness and well being. Functional fitness means keeping strong, balanced, and flexible to retain the ability to do the daily activities of life that you normally would do.